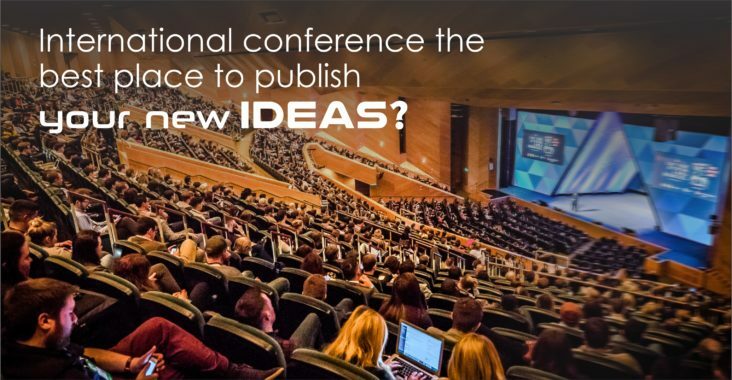 International Conferences are the best places to publish new ideas since it gives a vast platform for people publishing their ideas and gives them a new way of recognition. This platform will be very helpful for people who want to present their ideas in front of the people as various known people like scientists, doctors, teachers, engineers, experts, etc will be attending these conferences and interact with the audience to make the sessions fruitful and interesting. It will be one amazing opportunity for everyone attending the conference to gain knowledge about various new subjects being discussed there and also get a chance to discuss, debate, ideate and collaborate with each other. International Conference will be the best platform since people from all over the world will be visiting and expressing their point of views, and their thoughts about the ideas presented there and everyone can discuss about it and make new inventions and make developments for the each. People present their research ideas and try to keep them in front of the audience present there in form of presentations, manuscripts, power points, demo working models, abstracts sheets, etc and explain about each and every minute details to the people present there and also interact with people present and answer their questions if they have any queries about the work presented in front of them. Another added advantage of attending the international conferences 2019 and presenting your own ideas in such a vast and known conference is that one gets a good amount of exposure for their ideas and also gets in contact with numerous famous and well-known people. Also one can make it a short trip with sight seeing or shopping by attending the conference side by side. The main objective of any international conference or any other conference is focused to be on education. People spread and share their knowledge and also grasp the information given from other people sharing their experience and knowledge about any subject discussed there. Various perspectives of the same topic or subject can be observed and noticed in such conferences as various people from all around the world attend the international conferences and one should make use of this opportunity in the maximum way possible and people can discuss or debate with each other’s point of view since not everyone is right but there are many right ways for doing the same one thing. One can always get relaxed and feel at peace since international conferences are mostly held in places where people can find peace and enjoy themselves as only attending the conference would be boring and monotonic. People could visit the famous places in the area where the conference is held or do some shopping for the family or just spend the time by sight seeing and calming the nerves down and make their international conference trip an amazing and memorable one and also worth for their own career and business. Hi..this is Vipula Mathur…I need regular conference alert for English subject for all over India and abroad…I wish to attend ugc sponsored conferences n conferences in which i can publish paper in ugc approved journals…Thank You.